While questionnaires are mailed to the respondents, to be answered, in the manner specified in the cover letter. The interview is a one to one communication; wherein the respondents are asked questions directly. Once the research problem is defined and research design is laid out, the task of data collection begins. There are two types of data, i.e. primary data and secondary data. The data collection methods of these two types of data differ, because, in the case of primary data, the collection of data must be original, while in secondary data, data collection is much like a compilation. The different methods of collecting primary data, like observation, interview, questionnaire, schedule and so on. Many think that questionnaire and interview are one and the same thing, but there are a lot of differences between these two. Meaning Questionnaire implies a form consisting of a series of written or printed multiple choice questions, to be marked by the informants. Interview is a formal conversation between the interviewer and respondent wherein the two participates in the question answer session. Order of questions Cannot be changed, as they are written in an appropriate sequence. Can be changed as per need and preference. Questionnaire refers to a research instrument, in which a series of question, is typed or printed along with the choice of answers, expected to be marked by the respondents, used for survey or statistical study. It consists of aformalisedd set of questions, in a definite order on a form, which are mailed to the respondents or manually delivered to them for answers. The respondents are supposed to read, comprehend and give their responses, in the space provided. A ‘Pilot Study’ is advised to be conducted to test the questionnaire before using this method. A pilot survey is nothing but a preliminary study or say rehearsal to know the time, cost, efforts, reliability and so forth involved in it. The interview is a data collection method wherein a direct, in-depth conversation between interviewer and respondent takes place. It is carried out with a purpose like a survey, research, and the like, where both the two parties participate in the one to one interaction. Under this method, oral-verbal stimuli are presented and replied by way of oral-verbal responses. 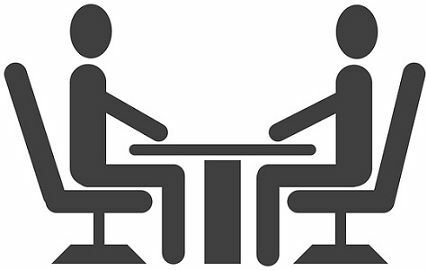 Personal Interview: A type of interview, wherein there is a face to face question-answer session between the interviewer and interviewee, is conducted. Telephonic Interview: This method involves contacting the interviewee and asking questions to them on the telephone itself. The questionnaire method of collecting data involves emailing questionnaire to respondents in a written format. On the contrary, interview method is one wherein the interviewer communicates to the respondent orally. The questionnaire is objective while the nature of the interview is subjective. In an interview, open-ended questions are asked by the interviewer to the respondent. As against this, closed-ended questions are asked through a questionnaire. The questionnaire provides fact-based information to the respondents. Conversely, analytical information can be gathered through interviews. As question are written in a proper manner in a questionnaire, the order cannot be changed. Unlike interview, wherein the order of questions can be changed as per needs and preferences. The collection of data through questionnaire is relatively cheap and economical, as money is spent only on the preparation and mailing of the questionnaire to the respondent. In contrast, an interview is a little expensive method, because, to provide data either the respondents have to come to the interviewer or the interviewer has to visit the respondents individually. Questionnaire method is more time consuming than an interview, as in an interview, the responses are spontaneous, while the informant takes his own time to reply, in the case of the questionnaire. In questionnaire method, a single questionnaire is mailed to many respondents. However, only one person at a time can be interviewed in a case interview. The probability of non-responses is very high in case of the questionnaire, as many people avoid answering it and so they return the questionnaire with providing their responses. On the other hand, the chances of non-responses are almost nil in case of an interview, because of direct interaction between interviewer and respondent. In the questionnaire, it is not known, as to who replies it, which is not in the case of an interview. So, whatever method you use for your research project, to collect information, it must fulfil your requirements. As both the methods have their pros and cons, it cannot be said which method is best, i.e. while questionnaire method takes more time, interview method requires high investment. So, you can choose any of the two, considering your needs and expectations from the data collected. Excellent explanation and very helpful. Thank you. Very useful resource, thank you.